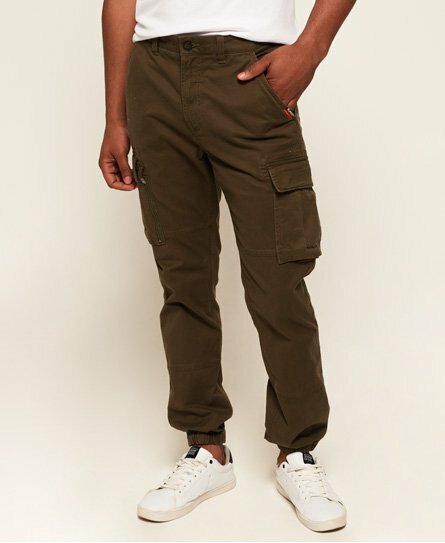 Superdry men’s International Recruit Flight Grip cargo Pants. Functional and comfortable, these cargo pants come with the classic six pocket design including two large pockets on the leg with a popper fastening. The cargo pants also feature cuffed ankles and a zip fly. The International Recruit Flight Grip cargo pants are finished with Superdry logo badges above one front pocket and one back pocket.